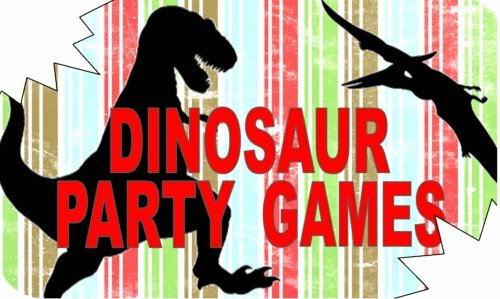 These dinosaur party games are just the thing to add that extra bite of fun to your child's dino party! 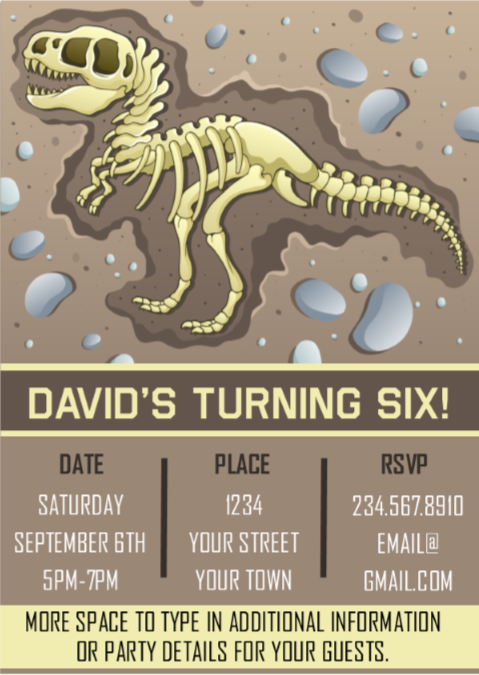 Get ready to have a roaring good time!! 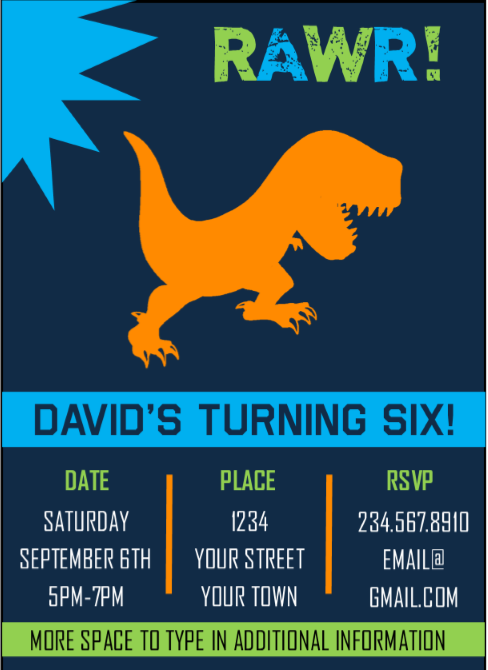 Also, if you are having a hard time finding the perfect party supplies for your child's Birthday, check out our Printable Dinosaur Party Supplies that includes an invitation that you can edit to add your own details and print in minutes. Fill a small plastic kiddie pool (or other small shallow container) with sand. Then bury plastic dinosaurs or dinosaur bones down in the sand. If you want to go all out for a realistic touch, you can buy real bones from your local butcher shop. This needs to be done at least a few days in advance. Make sure that the bones are thoroughly boiled, stripped, and dried before use. Give each of the kids little shovels, sifting pans and brushes to uncover their ancient treasures. The child, who finds the most or finds a certain color, wins a special prize! Blow up A LOT of white balloons for the dino eggs, filling them with tiny dino toys, candies, and stickers. Place them in two separate “nests.” These can be made of blankets or sheets swirled up around them, or whatever you might imagine. Divide the kids into teams, and let them choose a cool team name for themselves! When the game begins, they can sit, stand or whatever they need to do to crack the egg. Each team has to crack all of their "dinosaur eggs" before the other. The team can divide the little prizes the get from each "egg". The first team to crack all their "eggs" wins a special prize! HAPPY BIRTHDAY banner - prints two letters per page. 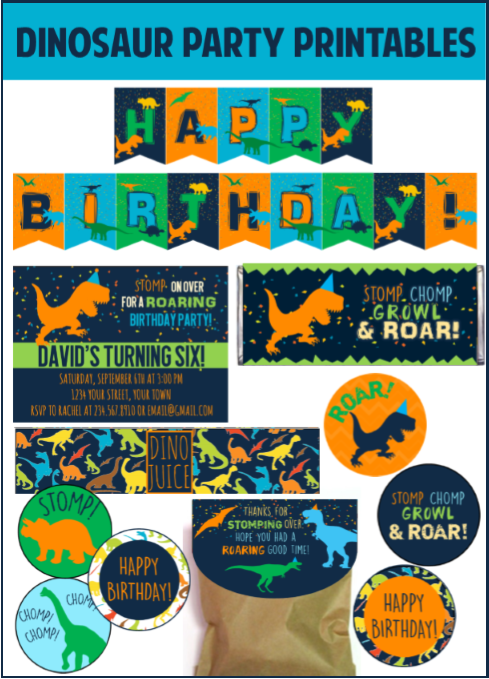 Stomp, Chomp, Growl, and Roar printable dinosaur candy bar wrapper - fits standard size hershey bars. Six different cupcake toppers or gift tags - prints 12 per page. Thanks for STOMPING over, Hope you had a ROARING good time - favor bag topper. Here is another classic with a prehistoric spin. Have your dino poster or enlarged print secured to an accessible place on the wall. Get a sheet of white paper, and cut out enough teeth for all the kids to have one. Put their names or initials on the back. Have the teeth, a roll of scotch tape, and a blindfold ready at game time. The birthday kid gets to be blindfolded first. Spin them around as many times as their age. Give them their tooth, with a ring of tape on the back, and let them try to pin it to the dinosaur’s mouth. After everyone has had a turn, look to see who got their tooth closest to the mark. The closest wins a special prize! In this game children take turns putting on the dinosaur tail and trying to knock down as many "trees" as possible. To create the tail you will simply take a pair of pantyhose and stick an orange in the bottom of one of the feet. Tie the other end around the child's waist. Now set up the trees by placing empty two liters around the game area. If you are feeling creative you can even decorate them to look like trees. On the start of go each child has one minute swing thier tail around and knock over as many trees as they can. They are not allowed to touch their tail with their hands, all swinging must be done with the hips. This game is so much fun to play, and almost more fun to watch! To make your dinosaur tail, you will need one or two green poster boards, strong tape, and a broomstick. Cut a zigzag from one corner of a long side of the poster board to the other corner of the long side, without meeting the other side. If done properly, you will end up with duplicate zigzags. If it doesn’t work out quite that way, you have that backup sheet to work with. Decorate them with spots or stripes if you like. Then fold the bottom flat sides of the zigzags over about four inches all the way across to make long tabs. Wrap the tabs around the stick and tape them. Make sure that they are taped to the broomstick itself somewhere, so they don’t slide. You’re ready to dino limbo! Line the kids up and start the music. One or two adults hold the tail at about neck level of the first kid in line. The kids have to lean back to go under. After each rotation of all the limboers, lower the tail. Do this until all but one have been eliminated. They win a special prize! Start by cutting out big dinosaur shapes footprints. Next, hide little treasures here and there in the house and or yard. Place the footprints down with tape, so they don’t blow away, to make tracks that lead to the treasures. 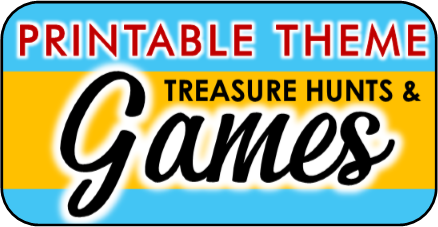 If you want to add another level of fun for older kids, have the tracks leading to clues which then lead to treasures. Which kid knows their dinosaurs best? Print out images of different dinosaurs onto card stock. Divide the kids into two teams. Next it's time to get ready to test their dinosaur knowledge. Hold up a picture of one of the dinosaurs and ask the players to raise their hand if they know the name of the dinosaur. Let the first person who raises their hand answer. If they are right award their team the point, if they are not give the next team a chance to steal. Whoever has the most points at the end wins! For this fun game you will need plastic Easter eggs. Fill each egg with a small dino toy, sticker, or candy before the game starts. To play have everyone sit in a circle and pass one of the eggs around while the music is playing. When the music stops whoever is holding the egg gets to "hatch" it and keep the prize inside. They must now sit out and let the other children try and hatch an egg. The game continues like this until only one player remains. They get a special egg to hatch for being the last to be caught with an egg. If you haven't guessed already, this game is just like hot potato except that instead of just being outif you get caught with the potato, you get a consolation prize. Much happier kids this way. In this game you will create a tail for every child by tying a piece or string to a balloon and the other end of the string should be wrapped around the child's waist. The string should be long enough so that the balloon drags on the floor when the child is walking. 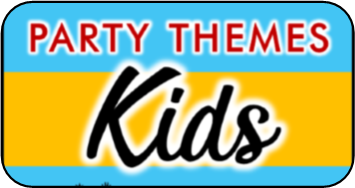 Now start the music and challenge the children to stomp the other kid's balloons while keeping their "tail" safe. The winner is the child with the last remaining unstomped "tail". Dino, Dino, Where's Your Egg? Someone stole your egg, can it be found? Then the dinosaur must try and guess who stole their egg. If they guess right they get to be the dinosaur again. If they guess wrong the person who stole the egg gets to be the next dinosaur. Play and repeat.